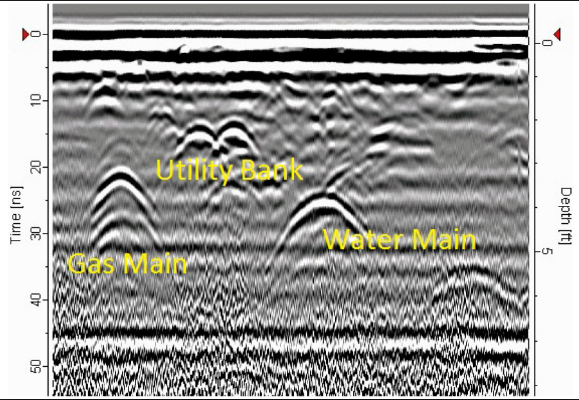 Ground penetrating radar (GPR) delivers fast identification of underground assets and services. This non-destructive process uses geophysical methodology to map variations in reflected radar pulses. This method provides a picture of the subsoil, including not only buried services and structures, but also indicating voids, cracks, and variations in soil density or composition.